The past couple weeks I’ve been working on something in secret. Sort of. I’ve posted a few updates on Facebook and Instagram about what I’ve been up to, but you know how it is with Facebook – sometimes only 3 people see any posts from your pages. Sigh. Yup. I’m back in the studio recording! It’s not a full album by any stretch so far, only a couple of songs, but I’m having a ton of fun working on them. And… They are both instrumental! It has been a while since I’ve put anything instrumental out (not since Falling Slowly), and I am totally loving recording sax again. 3. There’s some flute and maybe a bit of background vocals, but a whole lot of saxophone! One final quick update – I’ve recently launched a podcast as part of Teen Jazz and Teen Jazz Radio. It’s available on iTunes and through the Teen Jazz websites. I would really love it if you checked the podcast out. Let me know what you think and maybe even send me a question to answer in one of the next sessions! These last few weeks have been gloriously filled with music-making, rehearsing, composing, lyric writing and long practice sessions. 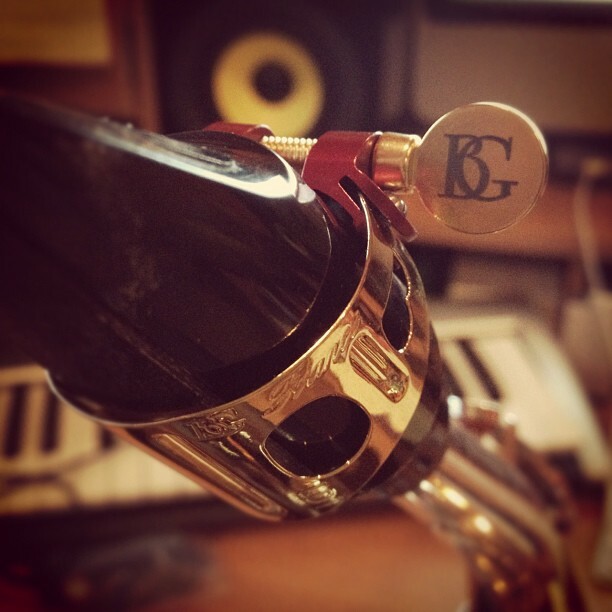 I have been playing my new BG France ligature and absolutely loving every moment of it – I practice even more just so I can use it. I played with it at my Laguna Canyon Winery performance and I was so happy with its response! I better hurry up and order one for my tenor and another for my soprano soon. As you know, I’ve been in the studio writing and recording two projects – Behind Your Eyes *my first full vocal album* and Le Printemps *the third in my Unfinished Compositions series. * Le Printemps will be out later this month and I’m really excited about it. Once Le Printemps is done, there is only one more EP left in the series – the entire collection will also feature a few bonus tracks. For those who subscribe to my email list, you actually receive one of the unreleased bonus tracks for free (but shh, that’s a secret). I’ve finally finished writing all the songs for Behind Your Eyes, I’m in the middle of recording everything for the tracks and finishing up the lyrics. The album will be out this Fall. I’ve also been rehearsing with South Coast Singers for their summer concert series. We have three performances this month in South Orange County and almost all three shows are already sold out! At the end of the month, I will be performing at Anthology with Taboo Band, a Sade tribute group.